That's right theater fans. The wait is finally over. The Cher Show has officially opened. Well in Chicago that is. But don't worry. It will be on the Great White Way before you know it. The show, which opened last night at the Oriental Theatre, will play it's final performance on July 15. The Broadway production is scheduled to begin previews at the Neil Simon Theatre on November 1, with opening night scheduled for December 3. So what did the Chicago critic's have to say? Let's find out. Not too bad. Are they outright raves? No. But there is still plenty of time to fix what ever problems it might have. By the way, for those of you who want tickets to see The Cher Show, you are in luck. We sell it. Get your tickets to see The Cher Show on Broadway at the Neil Simon Theatre. Until next time theatre fans. That's right theatre fans. You have less than three weeks to see one of the most celebrated shows of all time. Angels In America, which won three 2018 Tony Awards, including Best Play Revival of the Year, will play it's final performance at the Neil Simon Theatre on July 15. Now that doesn't mean you still can't get tickets.It just means you need to hurry. Lucky for you, we sell it. Well that and every show both On and Off-Broadway. Get your tickets to see Angels In America on Broadway at the Neil Simon Theatre. Time is running out. Until next time theatre fans. That's right music fans. The 80's are back on the Great White Way. In fact, I haven't been this excited about a jukebox musical since Rock of Ages first took Broadway by storm nine years ago. Head Over Heels, which features the music of 80's pop icons The Go-Go's, began previews last night at the Hudson Theatre. Now before you start thinking that this is going to be one of those bio-musicals like Jersey Boys or Summer: The Donna Summer Musical, it is not. This new musical, is inspired by Philip Sydney's sixteenth century play Arcadia. Not too be confused with Tom Stoppard's 1993 drama with the same name. Anyway, this one, features a duke, a mysterious prophecy and two daughters. One of which is mobbed by suitors. The other daughter? Not so much. The show, which is scheduled to open on July 26, is directed by Tony Award winner Michael Mayer (Spring Awakening, Hedwig and the Angry Inch), with choreography by Spencer Liff (Falsettos, Hedwig and the Angry Inch). By the way, for those of you want tickets to see the show, you are in luck. We sell it. Plus if you call right now, you can get tickets to see the show at rates that can't be beat. Be advised that while this "Special Offer" is good thru September 30, it is for select seats, and as always subject to availability. Get your tickets to see Head Over Heels on Broadway at the Hudson Theatre. Until next time theatre fans. That's right theatre fans. Or should I say Michael Jackson fans. The "King of Pop" is headed to the Great White Way. The show, which will feature a book by two-time Pulitzer Prize winner Lynn Nottage (Sweat, Ruined), and direction and choreography by Tony Award winner Christopher Wheeldon (An American In Paris), will make it's Broadway bow in 2020. Now for those of you that can't wait that long for your Michael Jackson fix, you can head on over to London, where Thriller- Live is now in it's sixth celebrated year. As of now, no theatre or any out of town tryouts have been announced. Stay tuned to this website for further updates. That's right.The holiday's are finally here. Yes I know that the holiday's are technically still month's and month's away. Doesn't mean you can't plan ahead right? The 2018 Radio City Christmas Spectacular, which will play at the historic Radio City Music Hall from November 9 thru January 1, first premiered in 1933. That's seventy-five years for those of you mathematicians. Now believe it or not, but in all the years that I have lived here, I have never seen the show. I know. I know. What's my problem? Do I not like Christmas? On the contrary. In fact it's one of my favorite holidays. Next to Thanksgiving of course. I guess it just feels like one of those shows that is better to see with your family. Thankfully the show isn't going anywhere. So there is plenty of time to see it. Now for those of you who want tickets to see this holiday favorite, you are in luck. We sell it. In fact we sell every show in New York City. 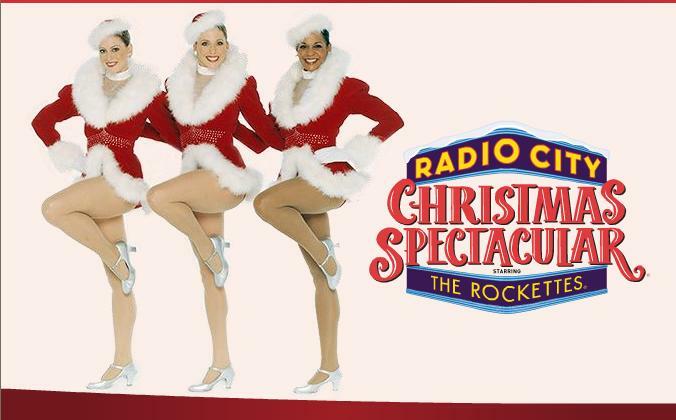 Get your tickets to see the Radio City Christmas Spectacular. Your holiday's won't be the same without it. That's right theatre fans. The 2018-2019 Broadway season has officially begun. And what better way to start it off than with the 50th Anniversary production of Mart Crawley's The Boy's In The Band. The show, which marks the play's Broadway debut, officially opened at the Booth Theatre on May 31. So what did the critic's have to say? Let's find out. Pretty good reviews I have to say. Now for those of you who want tickets to see the show, you are in luck. We sell it. Plus if you call right now, you can get tickets to see the show at prices that can't be beat. Be advised that while this "Special Offer" is good thru August 9, it is only available for weekday performances, and as always subject to availability. Get your tickets to see The Boys in the Band on Broadway at the Booth Theatre. Until next time theatre fans.